Students engage in a fun, hands-on art activity incorporating texture and creativity. Following the art activity, the art itself becomes a means for use to refocus minds and center selves. Students have an opportunity to take a break from their work, ‘play a little game,’ and feel a renewed sense of calm and creativity. It is a fun ‘time-out’ for individuals needing to expel extra energy or for a whole class to transition between activities. A Labyrinth is a geometric form that is used to quiet the mind, bring about inspiration and encourage focus. Traditionally, Labyrinths have been found in nature and are life size forms to be walked through. Now, Finger Labyrinths are available and provide the same benefits. A Finger Labyrinth may appear to be like a maze. However, a maze aims to confuse while a Labyrinth is a continuous circular path that contains no dead ends. It is one path that has the same entry and exit points and a place for pause at the center. The goal is to use your finger to trace through the path and in the process, find answers and serenity. People can use their non-dominant hand to trace through a Finger Labyrinth and being a right brain task, your intuition and creativity are called upon. Benefits include: quiet focused state of concentration, an aid in fine-motor skills, peace, relaxation and co-ordination. While you may wish to purchase a traditional Finger Labyrinth (see links) and place it in a special corner of the room for use, you could also have fun making individual personal Labyrinths for the corner of each students’ desks. Finger Labyrinths are appropriate for any age and can be modified accordingly. They enhance your classroom’s Art program and can be used as a form of classroom management. 1. 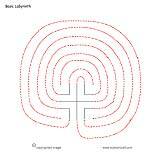 Use the attached Labyrinth printable as the base. 4. Using the printable, glue thick yarn along the Labyrinth and wait for it to harden (this will become an imprinting stamp). 5. Press modeling/molding clay onto the Labyrinth stamp you have made. 6. Bake the clay in order to harden it. These mini desktop Labyrinths can be used at any time by the student without disruption to the rest of the class. Click here (colour) and here (black and white) to download finger labyrinth templates. Visit www.amazeyourmindlabyrinths.com to purchase authentic finger labyrinth boards. 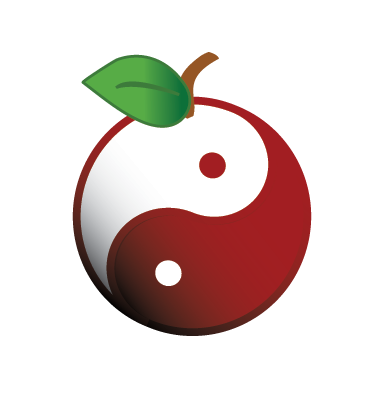 You can download the [ilink url=”http://www.newageteacher.com/lessonplans/NewAgeTeacher-FindYourWay.doc” style=”download”]Find Your Way Lesson Plan[/ilink] here! You present a few helpful ideas! Perhaps I should think of trying to do this myself. Super! I’m always happy to help. Please let me know what you try out and how they go.